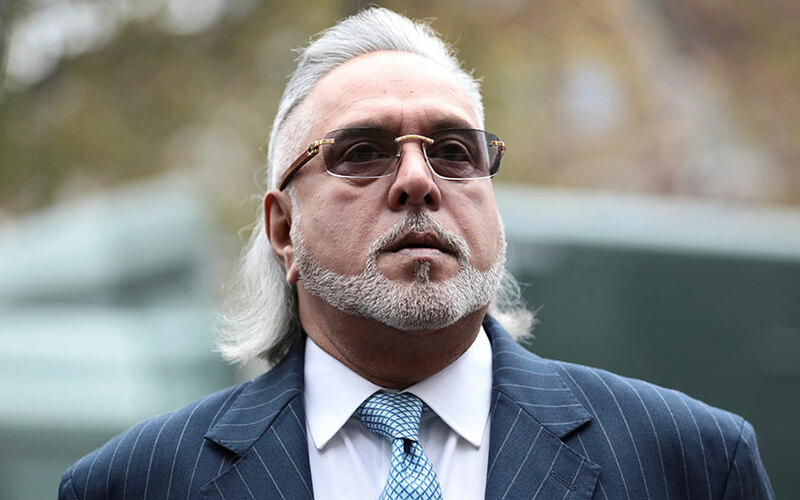 India asked a London court on Monday to extradite tycoon Vijay Mallya to face fraud charges of palming off losses from his failing Kingfisher Airlines onto a state-owned bank. Mallya denies any wrongdoing, and a court document showed his lawyers planned to argue that the case against him was politically motivated and aimed at quelling public anger in India over the accumulation of bad debts by state lenders. Mallya, 61, has had business interests ranging from aviation to liquor. He is also the co-owner of the Formula One motor racing team Force India. Long-haired and bearded, Mallya arrived at Westminster Magistrates Court wearing a dark blue pin-striped suit and gold-rimmed dark glasses. He was mobbed by a large crowd of Indian reporters on arrival, and again later when the building was briefly evacuated because of a fire alarm and he had to step outside. The case against Mallya centres on a series of loans Kingfisher obtained from Indian banks, and in particular from state-owned IDBI. Indian banks want to recover a total of about $1.4 billion that the Indian authorities say Kingfisher owes. Mark Summers, a British lawyer acting for India, told the court at the start of a two-week extradition hearing that it was entitled to conclude that he never intended to repay money borrowed by Kingfisher from IDBI in 2009. Summers said Mallya faced a choice: to take those losses on himself and his lavish lifestyle, or to palm them off. “The cost of failure could either be borne honestly by the defendant or they could be passed on banks, in particular a state-owned bank,” he said. Summers said the airline had offered the security of its brand name, a further large injection of equity and a commitment to start repaying the capital debt in 2011 when it forecast it would become profitable. But Summers said these were deliberately misleading or overstated. The loans had been taken out under “false pretensions” which were “supported by valueless securities”, he told the court and were then not spent how the bank had been told. Part was used to clear money owed to other banks, to service a corporate jet used by Mallya, his family and friends, and for cash for Mallya himself, Summers said. Some was also spent freeing up credit for Kingfisher at another bank. “Ultimately that money ended up in the defendant’s motor racing team,” Summers told the court. Despite giving IDBI personal guarantees for the loans, the lawyer said Mallya had been “squirrelling money away to keep it from the bank” including 40 million dollars he received as part of a deal agreed with Diageo Plc. Mallya’s defence team were due to respond orally later in the hearing. In a written document prepared before the hearing and seen by Reuters, his lawyers argued that the extradition request should be rejected because of a lack of evidence, the “abusive origins” of the case, the impossibility of a fair trial in India and detention conditions there being incompatible with British human rights laws. “It is a case which has been driven in India not by evidential enquiry, but by a populist and misguided sentiment that the sheer size of the losses involved in the collapse of Kingfisher Airlines Ltd (KFA) must be indicative of some criminality somewhere,” the document said. The judge will have to decide whether there is a prima facie case against Mallya and whether the alleged crimes would be offences in Britain as well as India. The judge, England’s Chief Magistrate Emma Arbuthnot, will have to decide whether there is a prima facie case against Mallya and whether the alleged crimes would be offences in Britain as well as India. The hearing is due to conclude next week.